A good sandwich deserves a good roll. 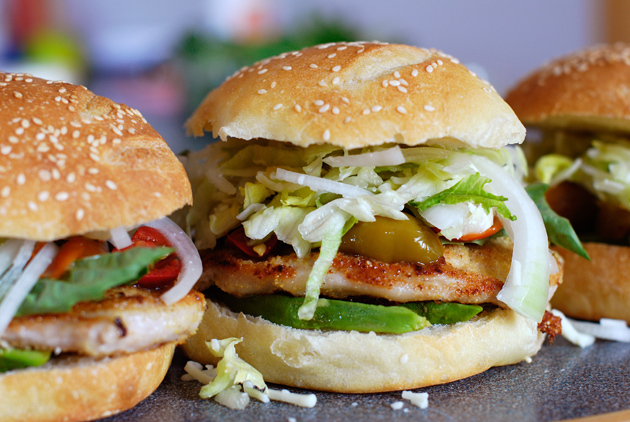 Enter the Cemita, a slightly sweet bun that gives its name to a whole style of street food in Puebla, Mexico. Crackly thin crust on the outside, with a lightly firm but airy center, and fresh! - made every morning in just one bakery, following a closely guarded recipe. So what would a Philly boy find so enticing about a Cemita? A beaten pork and avocado sandwich, piled with sweet marinated peppers and topped with strands of panela cheese, is certainly different from the cheesesteaks of my youth. And yet, there's something similar enough there, in the way it has grown with the city into a culinary icon best eaten locally. And as with the cheesesteak, a Cemita really is one great handful of a sandwich! For a variety of reasons, I've taken liberties with the sandwich filling. Some real ingredients are impossible to find while others (like the quarter pound of cheese) I can do without. I have, however, made the recipe for the rolls very much like the real one. If you follow it closely and bake on a pizza stone or quarry tiles, your sandwiches will be the envy of the neighborhood. Enjoy! Make the dough: Put 12 ounces warm water, the yeast, sugar, shortening, salt and 11 ounces of flour into the bowl of a stand mixer. Break in the egg. Whisk with a wire attachment for 5 minutes on medium speed until the dough is very smooth and has the consistency of a cake batter. Scrape down the sides of the mixing bowl as necessary. Switch to the dough hook and add 6 more ounces of flour. Mix on low for a further 5 minutes or so to make a soft dough. Turn the dough out onto a floured work surface and knead for 5 minutes or more. Put the dough into a big bread bowl and cover the bowl with plastic or a damp cloth. First rise: 4½ hours at 65°. Punch down the dough, turn using a dough scraper, and let rise again. Second rise: 3½ hours at 65°. I prefer at this point to put the dough in its bowl on ice packs overnight. Take away from the ice and punch the dough down early in the morning. Shape the rolls: Shape the dough into a snake, and cut into 8 equal pieces, about 4.5 ounces each. Form into round doughballs, stretching the skin over the tops. 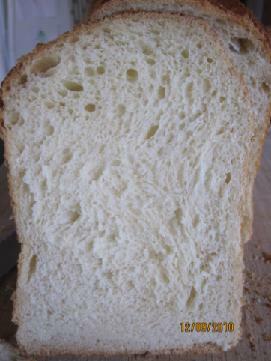 Let rest for ½ hour, covered with a floured cloth. Lightly butter a jelly roll pan or large cookie sheet. Flatten the dough pieces somewhat (to about 1" thick) and space them evenly on the tray. Let rest for a further ½ hour. Preheat the oven: Turn oven to 450°. Use quarry tiles for best results. Set rack at the halfway point in the oven. 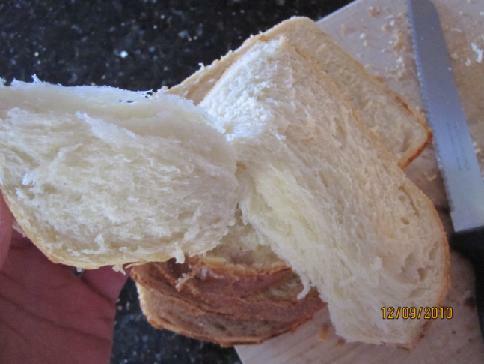 Finish and bake: Brush the top skin of the rolls with water, wait 2 minutes and then brush them again. Lightly sprinkle with sesame seeds. Put the sheet pan directly on the hot quarry tiles and bake for 18 minutes, or until the skin on the rolls turns golden brown. Let rolls cool on a rack for an hour before filling. To make the sandwiches: In a large frying pan fry the smashed pork chops one or two at a time in a Tablespoon of oil over medium high heat. Turned once, the chops will be cooked through in about 5 minutes or when browned on both sides. Salt and pepper to taste and leave chops to drain on paper towels. Meanwhile, shred the lettuce and mix with some sliced onion and mozzarella cheese. Slice the avocado and sweet peppers. Final Note: At Cemitas Las Poblanitas, the cemitas café that takes up the whole northeast corner of the Mercado del Carmen in Puebla, more than 1000 cemitas are created every day. To sample an authentic cemita - in their case topped with about ¼ pound of cheese and finished with a slice of ham - do give them a shout if you're in the area. You'll be glad you did. And if you happen to see my friends Alonzo and Lizbet sitting at one of the tables there, raise a beer to them. And tell them Sortachef says 'hi'! They look very good ! I like the natural crust looking, too. Thank you for sharing these recipes including the sandwiches! "...Break in the egg..." ??? What brand of ap flour do you use? I'll give them a try. I presume one egg gets beaten into the dough. I noted the ingredient addition. Thanks for sharing. And rolls as well. Thanks for sharing an interesting and appetizing recipe! I would still like to know what brand of ap flour you used in the rolls pictured? Nothing fancy. Gold Medal Unbleached flour. I find for a roll like this that it works just fine if the dough is allowed ample time to ferment, in much the way that a great baguette can come from basic ingredients. Great recipe. Makes a very light, crisp sandwich roll. 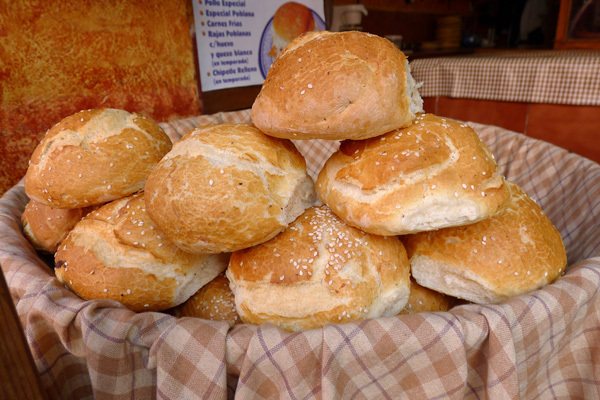 I have been searching for a roll recipe like this for a long time. Hope I get the same results next time I try it, which will be very soon. Thanks and glad you liked them, mrfrost. I made these yesterday to go with a soup, but instead of raising them at 65 degrees I went with 75-80 in order to have them ready sooner. Even with thorough kneading and careful shaping they turned out somewhat more like dinner rolls, which was fine for soup but lacked something in the way of a sandwich roll. I've made these 5 times now, and every time but the last one had the better result. Slow rise is best! Thank you for the greatest recipe, Sortachef! 2. Punch down- freezer for 2 hours. 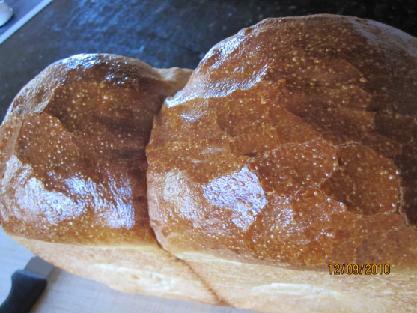 The sandwich loaf-- 438F for 30 minutes. 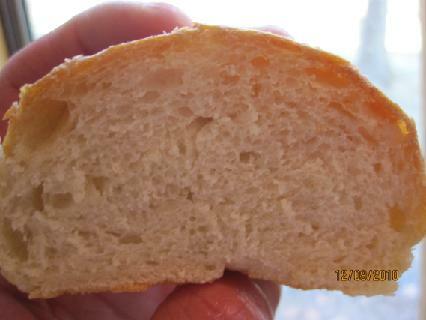 The crust was really crispy and the crumb was really moist and nice texture! My son will be happy to bring those bread to his school tomorrow. 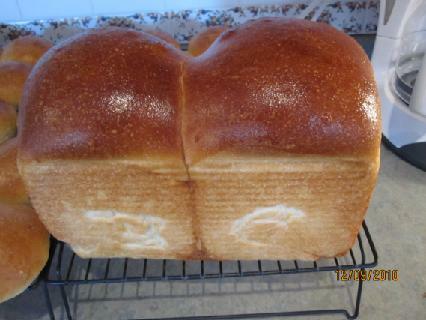 My son said, " Your buns and loaf are gone in a second! I couldn't get any pieces of them." Thank you for posting this recipe, Sortachef! I love getting feedback like this... it's just exactly why I create recipes. And these photos look great! Your son reminds my of my own son. I made some rolls the other day, and when I looked in the bag, half of them were gone. He doesn't like to gush, but he sure loves my baking, and will occasionally call himself a 'breadgetarian'. 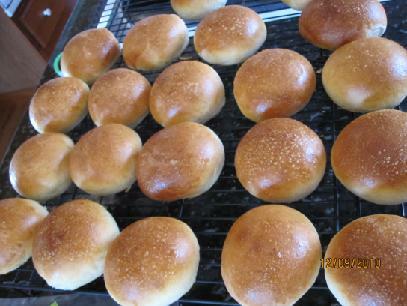 Your sandwich rolls recipe will be in one of my daily bread baking list. This bread keeps moisture surprisingly.